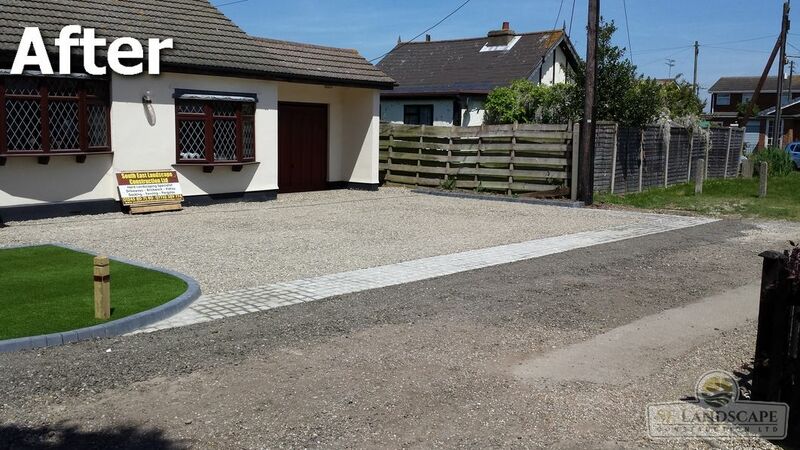 Gravel driveways provide a cost-effective alternative to block paving as well as being the preferred option where large areas of driveway are required. 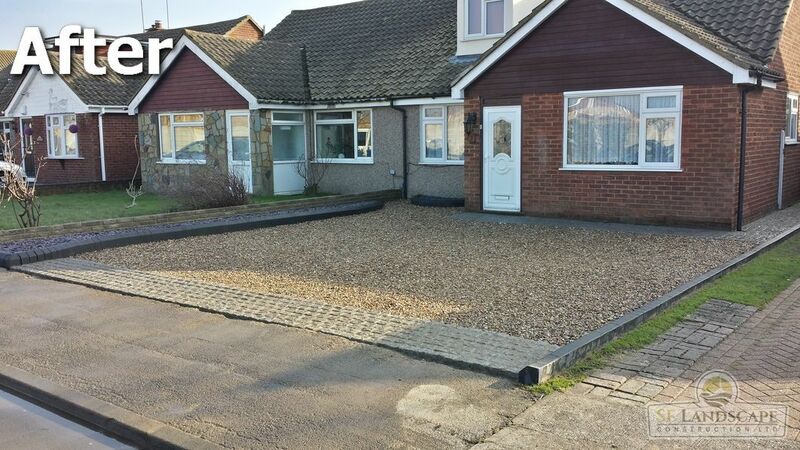 This choice of surfacing is also very effective as a security measure as thieves are often deterred by a gravel driveway due to the noise that is made whilst walking up the drive. 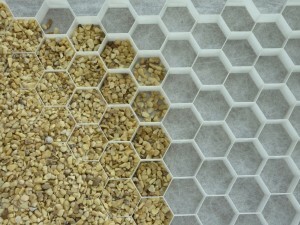 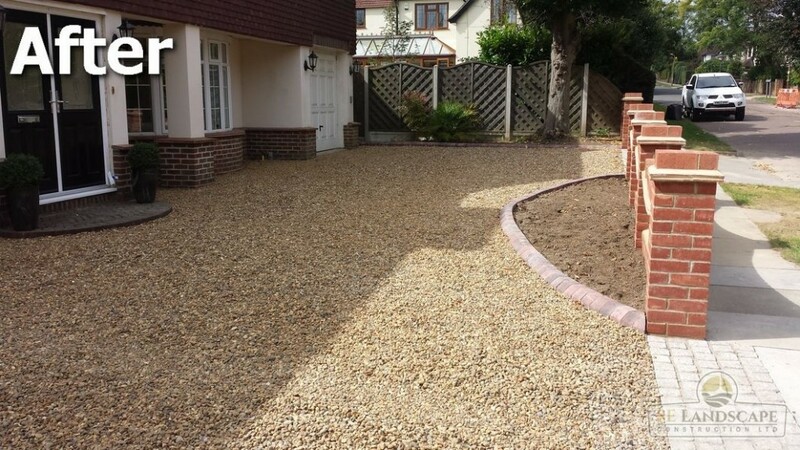 When installing a gravel driveway we use a unique cellular gravel system, with a gravel depth of around 20mm. 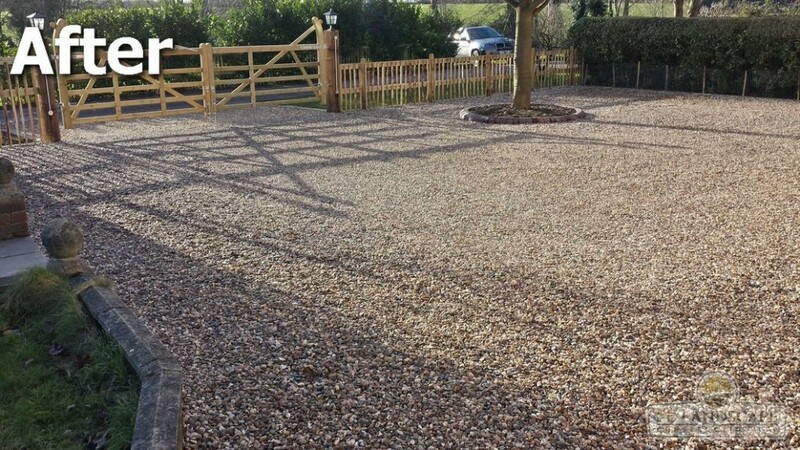 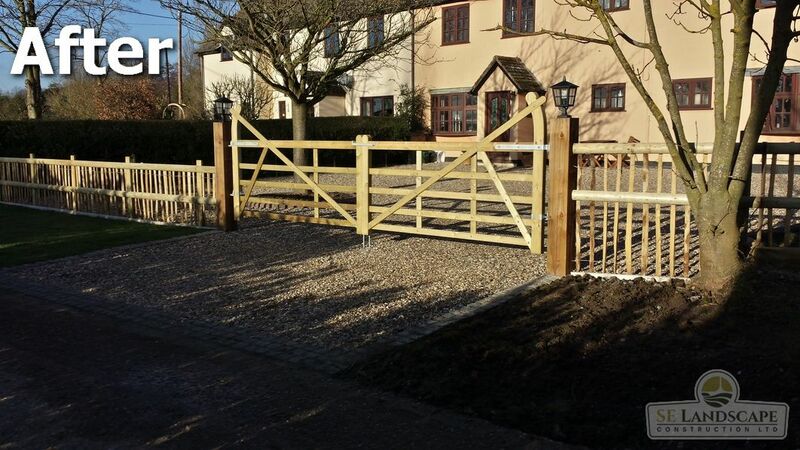 This system prevents movement of the gravel as well as significantly reinforcing your driveways stability, allowing vehicular traffic, including 4 x 4 vehicles, caravans, tractors, horseboxes and site maintenance equipment. One of the major advantages of a gravel driveway is that when installed with a permeable sub-base (such as MOT Type 3) the driveway is completely permeable, therefore conforming to SUDS regulations. 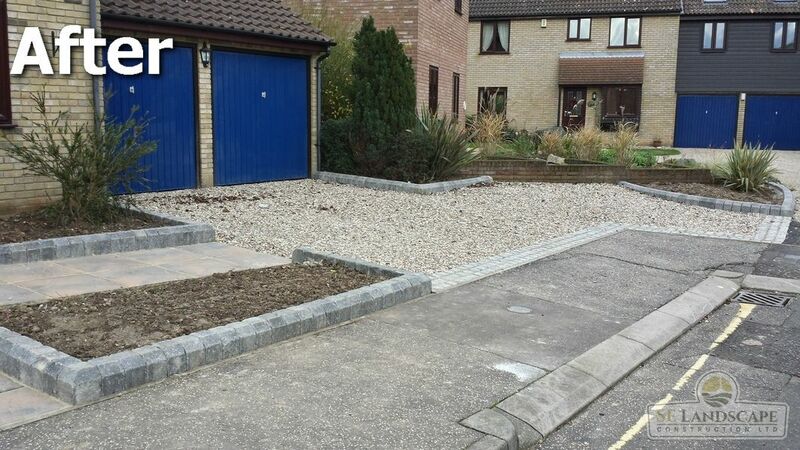 We always build gravel driveway on a MOT Type 3 sub base therefore drastically improving your driveways drainage and curing any existing drainage issues. 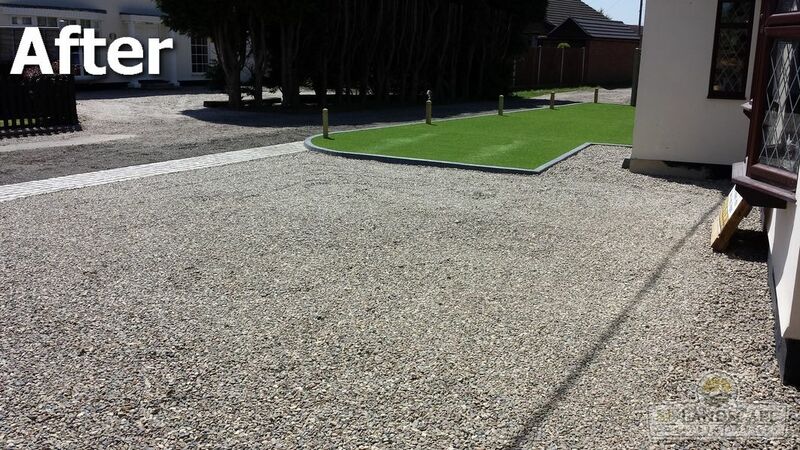 SE Landscape Construction install gravel driveways for clients in Chelmsford, Brentwood, Billericay & Romford and throughout Essex, Kent and Suffolk. 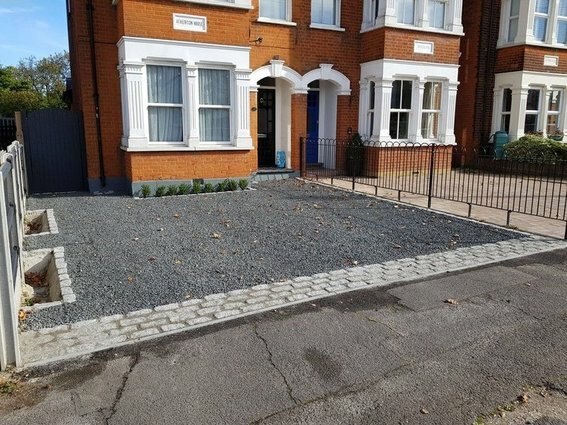 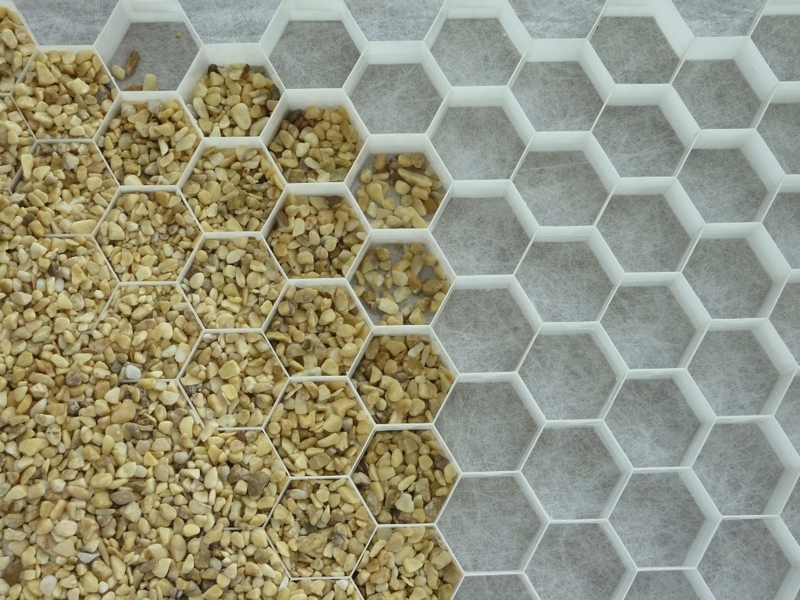 Stabilised Gravel Paving combines purpose designed modular reinforcement cells with the natural appearance, strength, security and free draining characteristics of a loose aggregate surface to provide aesthetically pleasing finishes. 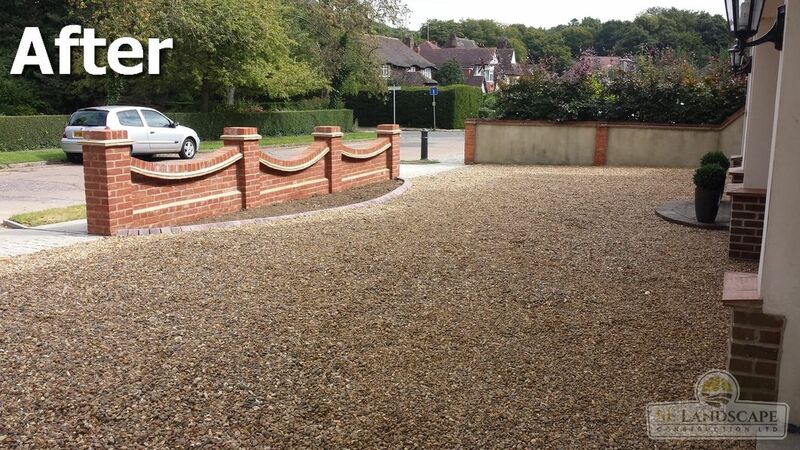 There is a vast choice of decorative aggregates with varying colours, sizes and shapes to choose from; providing an attractive entrance to your property. 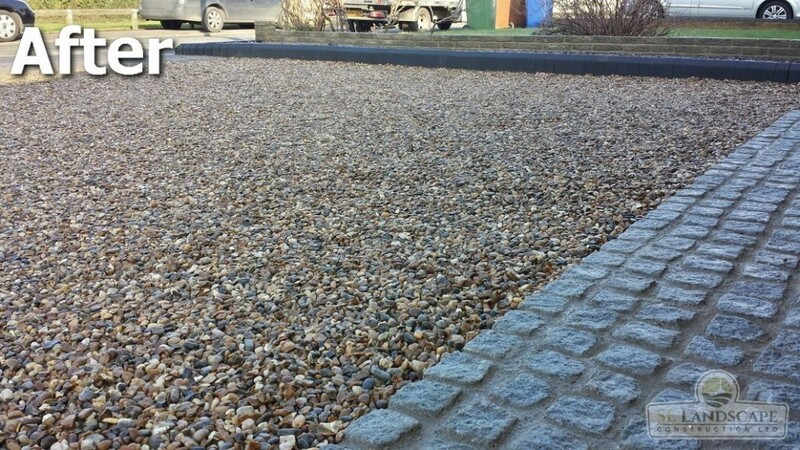 A few examples are shown below, however we are able to supply and install any type of decorative aggregate that you may choose. 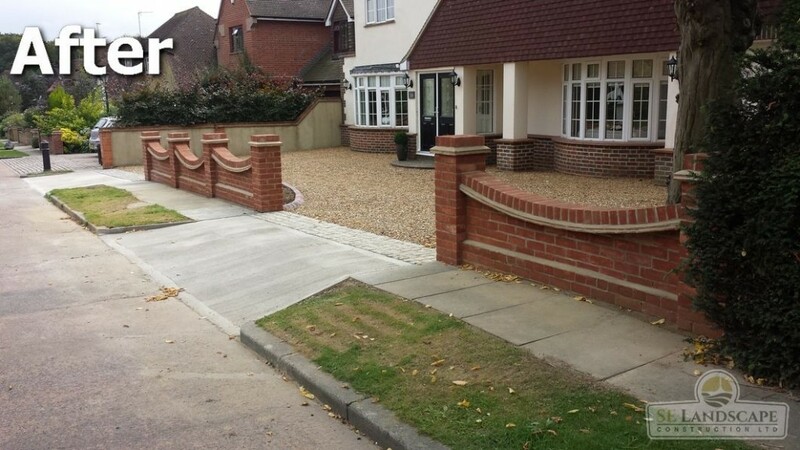 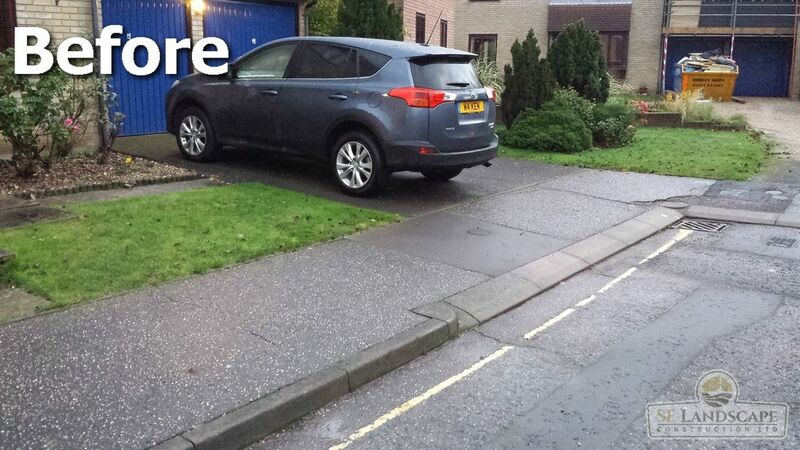 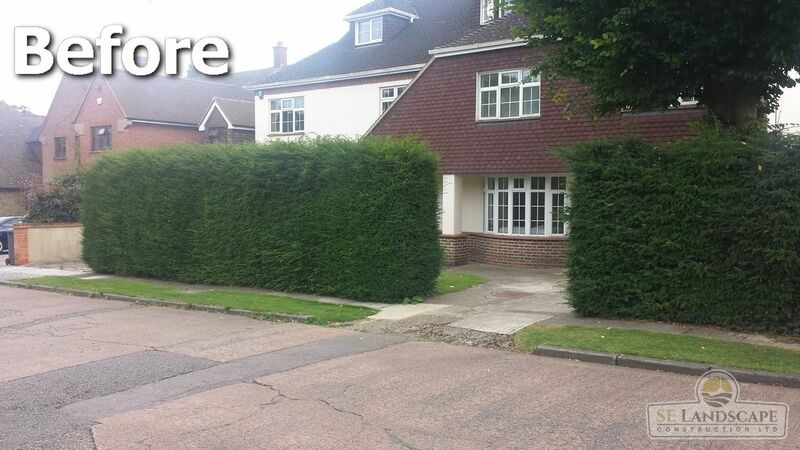 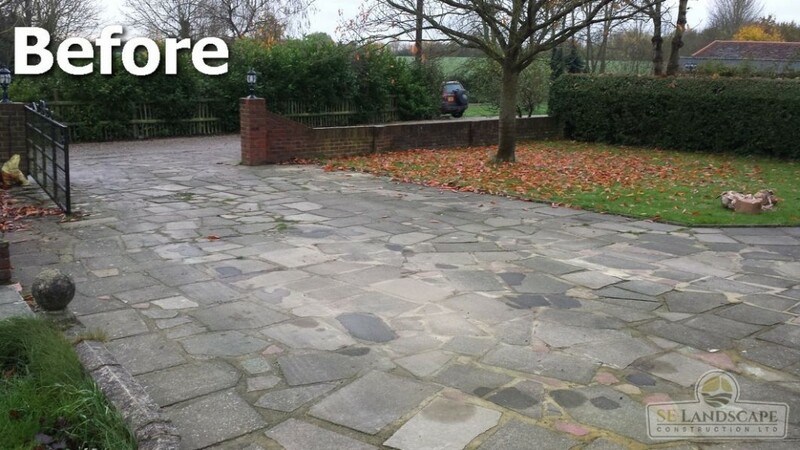 Visualising just how a new driveway can drastically improve the aesthetics of your home can be a difficult task. 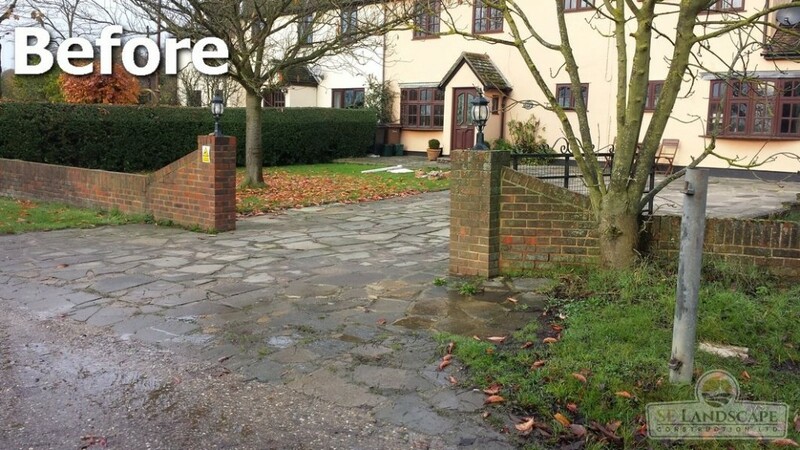 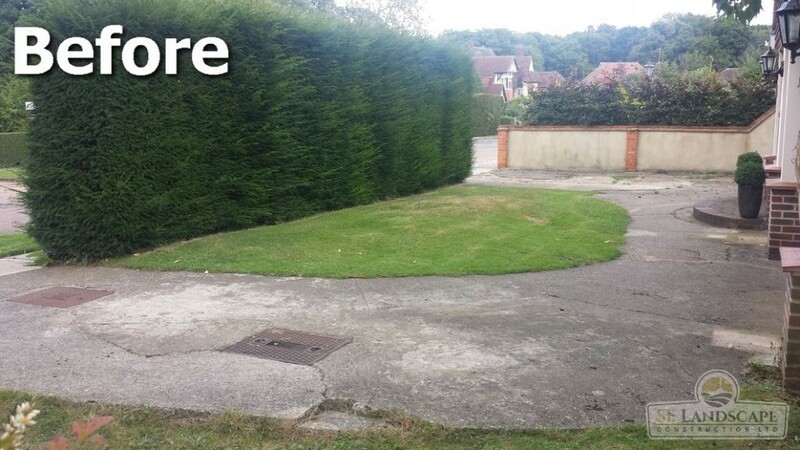 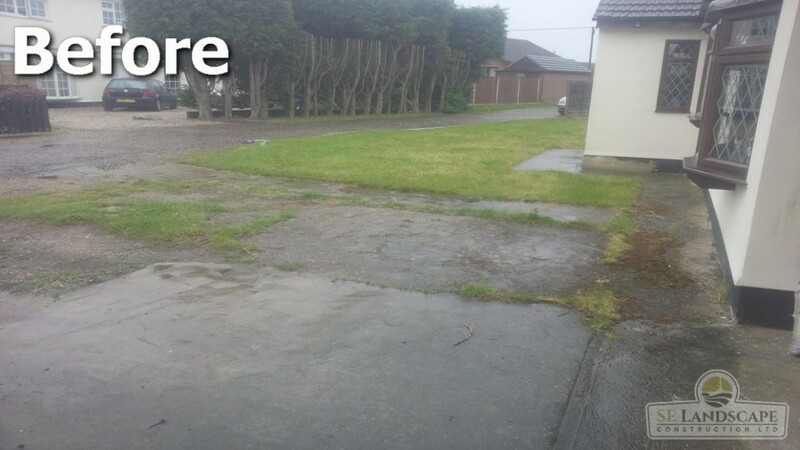 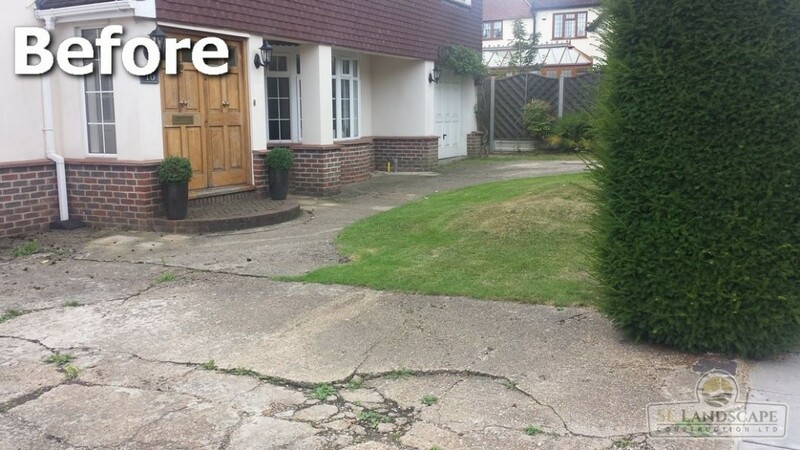 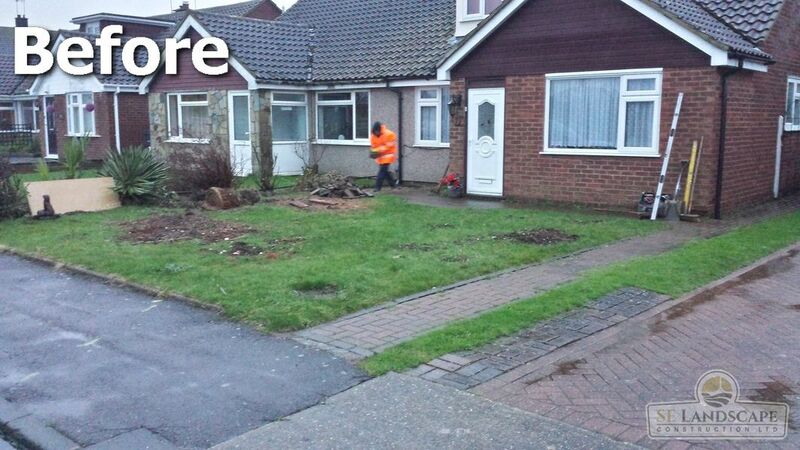 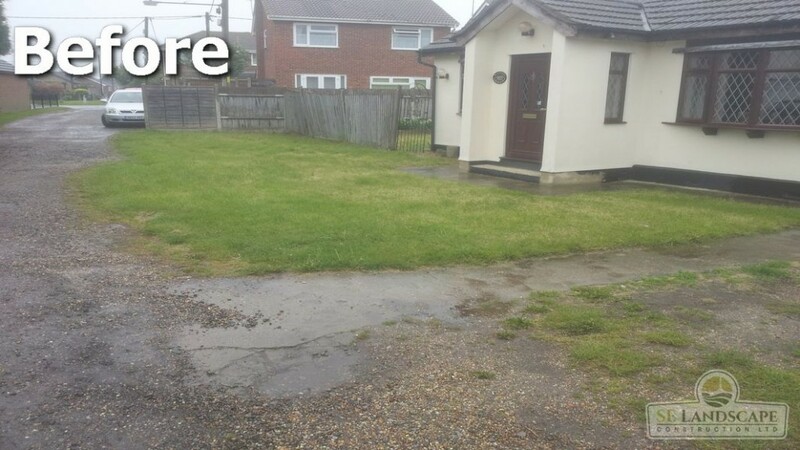 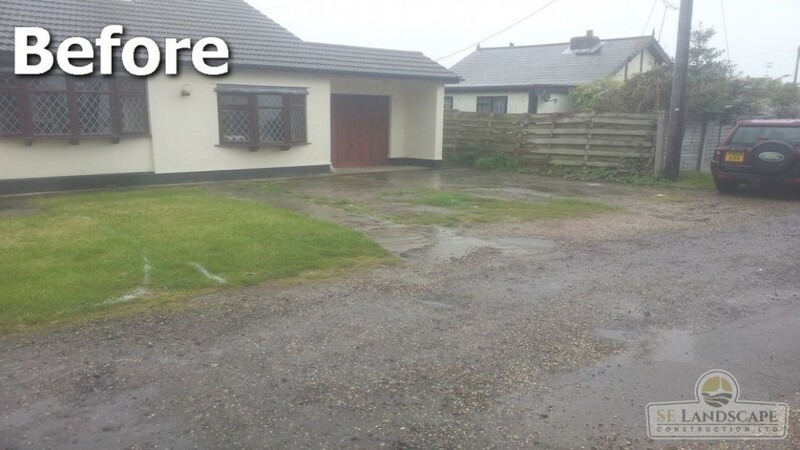 Below we have included several before/after shots of recent gravel driveway installations in order to help you realise how you can get the most out of your driveway. 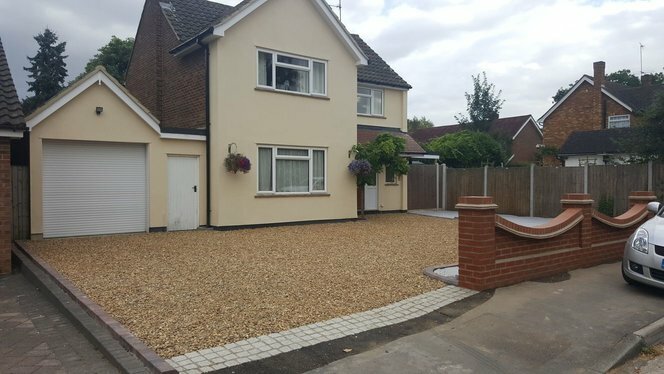 All of the below driveways were built using an MOT Type 3 sub-base (at a depth of 150mm) along with our cellular (honey comb) grid system. 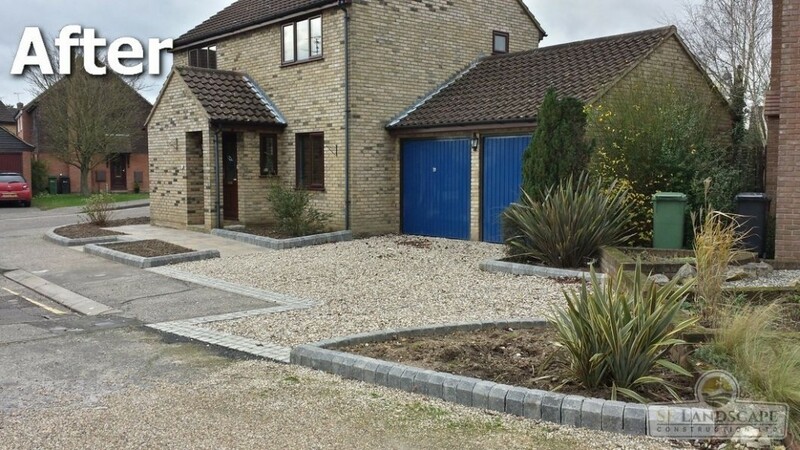 To prevent gravel migration on to public footpaths and to further enhance the aesthetic appeal, granite setts have been installed across the driveway entrances. 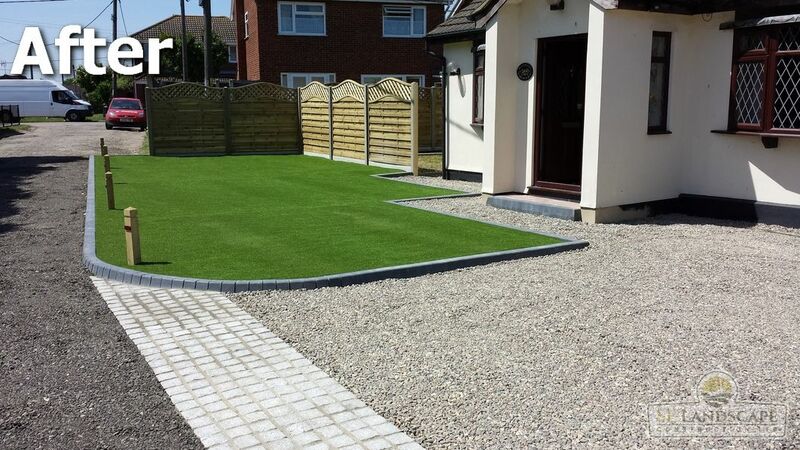 The granite setts are optional and other types of paving such as block paving in various colours and sizes can work just as well. 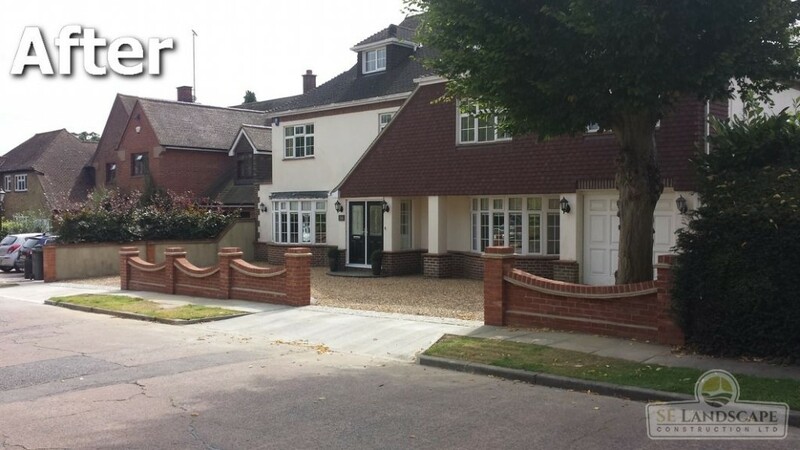 Feel free to book an appointment today by calling 01245 80 71 80 and we can offer help and advice on what would suit your homes surroundings best.